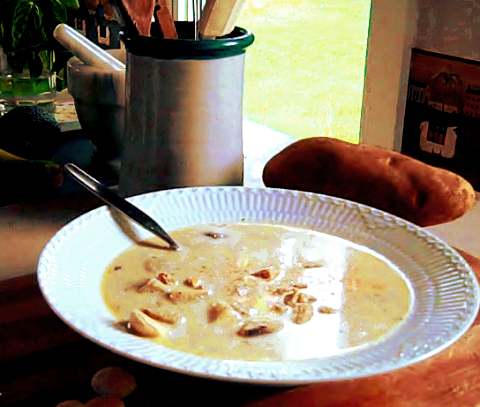 § 4 Responses to Bill’s Wicked Good Authentic Cape Cod Quahog Chowdah! Reblogged this on Confessions of a Lapsed Bohemian. I still have PTSD from the sand-filled dead bodies floating in milk that was passed off as “Clam Chowder” from a restaurant on Lincolnville Beach which I won’t name, (heh)…but this recipe might just make me brave enough to try again!! Thanks Bill! Can’t wait to enjoy this in my galley. You are currently reading Bill’s Wicked Good Authentic Cape Cod Quahog Chowdah! at Bill Barnes Jazz.